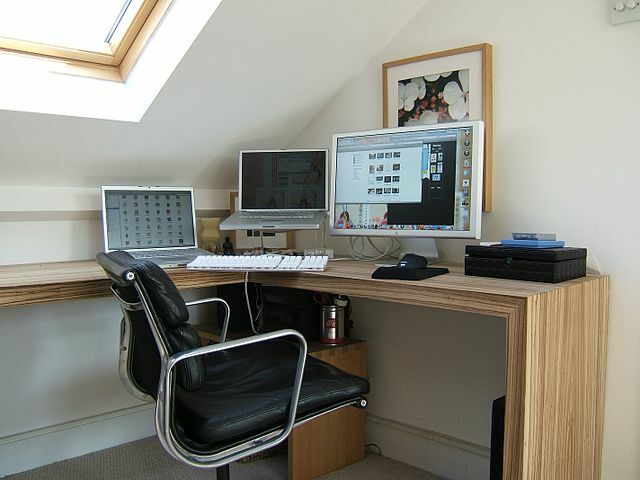 For maximum efficiency and to help you get in the ‘zone’, your home office should emanate a professional atmosphere. However, it is also important that the atmosphere is one you enjoy, looks professional for visitors, and isn’t going to cut too much into your budget. For this reason, Luxury Flooring & Furnishings are here to help you find the ideal flooring for your home office to help you hit all the criteria. Wood and stone style floors are the best for any home office, and within this, we would recommend engineered wood flooring as the most attractive, versatile and prestigious flooring option on the market. Even to the eye of a professional, it is impossible to tell the difference between solid and engineered wood flooring, and as a result, engineered is a more cost-effective way of getting the elegant wood look. 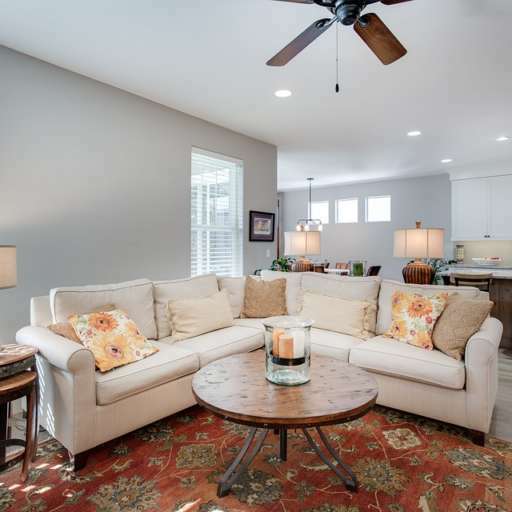 They have similar lifespans, and the only real difference is the ability of engineered flooring to withstand moisture, humidity and temperature changes without warping or shrinking. Engineered flooring has many different shades, species and finishes, so the perfect ambiance can be found for your office. We would recommend going for a shade that suits your work. Whether that is the colour of a brand, or suits the mood and personality of the business you work for, it is ultimately up to you as to which is appropriate. For the more sophisticated and serious, we would recommend black tiles for example, whereas for those providing a service that prides itself on luxury, classic wooden tones are best. If you will not be holding meetings or having visitors, something more playful may be chosen, or something colourful and to your taste provided it creates an atmosphere you would be happy to work in. If you are looking to create an impression for holding meetings or meeting clients, the wood or stone effect can be achieved with laminate and luxury vinyl tiles (LVT). There are many looks, colours and styles within these flooring types, and are great for those who wish to invest more in the work itself than the room in which it will take place. They are equally beautiful, and create a subconscious impression that may be helpful to your business. In addition, they are easier to clean, and can handle moisture, humidity and temperature changes better than any other floors on the market. Whichever floor you decide on, as long as it creates the right atmosphere for you and your visitors, your home office will be perfect!